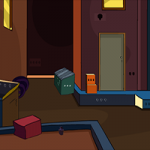 GFG Backyard Rescue is the sequel of the point & click escape game developed by GenieFunGames. In this game, your close friend has been trapped by some strangers in a backyard in your area. Help him to escape from this place. You can find useful stuff and clues for interesting puzzles to solve and finally rescue your friend from the backyard. Good luck and have fun!